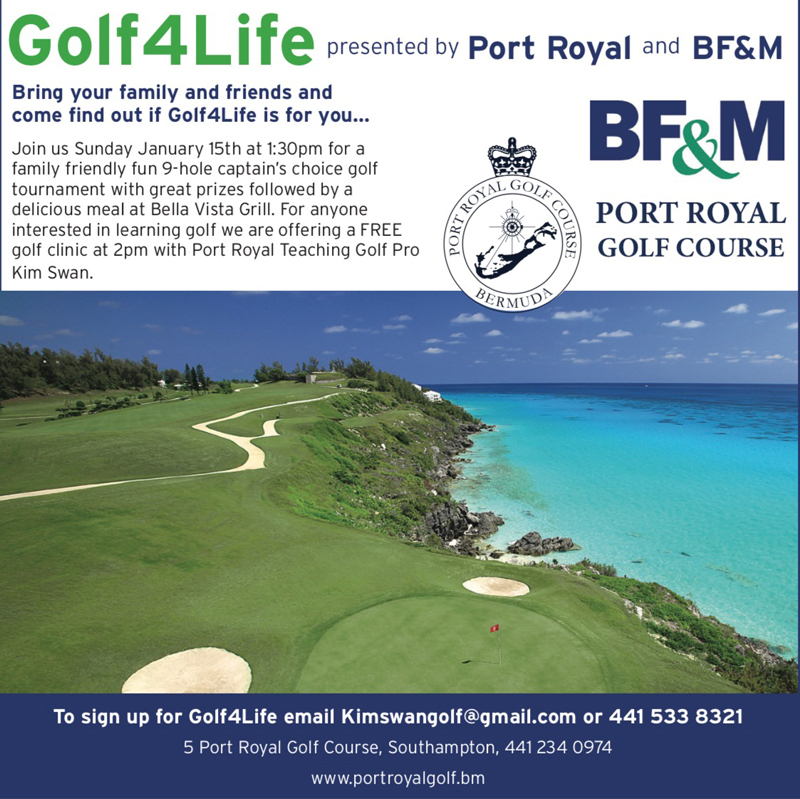 Port Royal Golf Course and BF&M are introducing a series of “Golf4Life” Golf Tournaments and free clinics on Sunday, January 15, with a 1.00pm shotgun start. Entry to the event costs $75 per person, which includes fees, cart, meal, and prizes. To sign up for Golf4Life, email kimswangolf@gmail.com or call 533-8321.